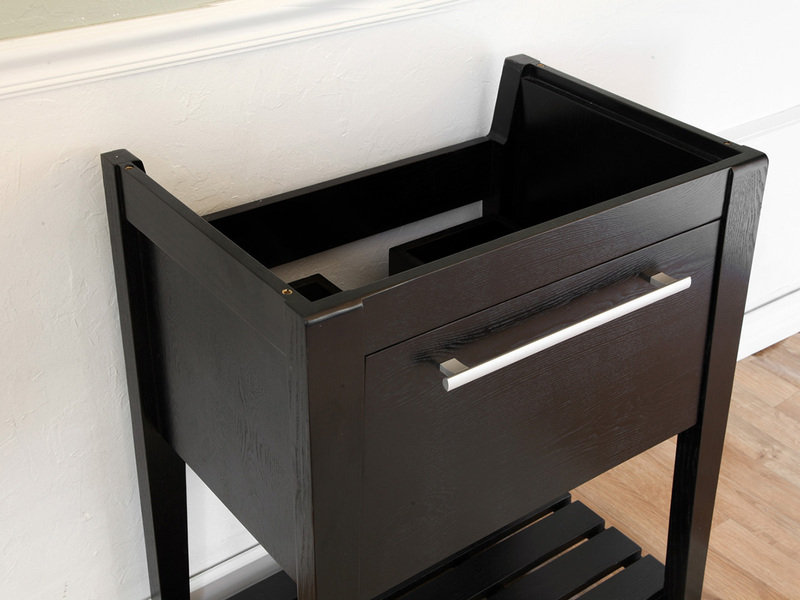 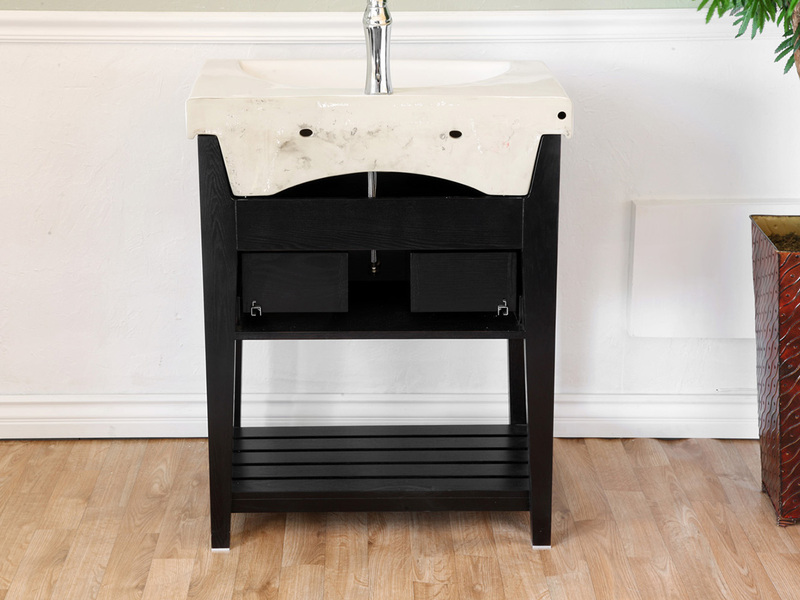 With its minimalist design, black finish and nickel hardware, the Thessaly Modern Vanity is a great way to modernize your bathroom with style and functionality. 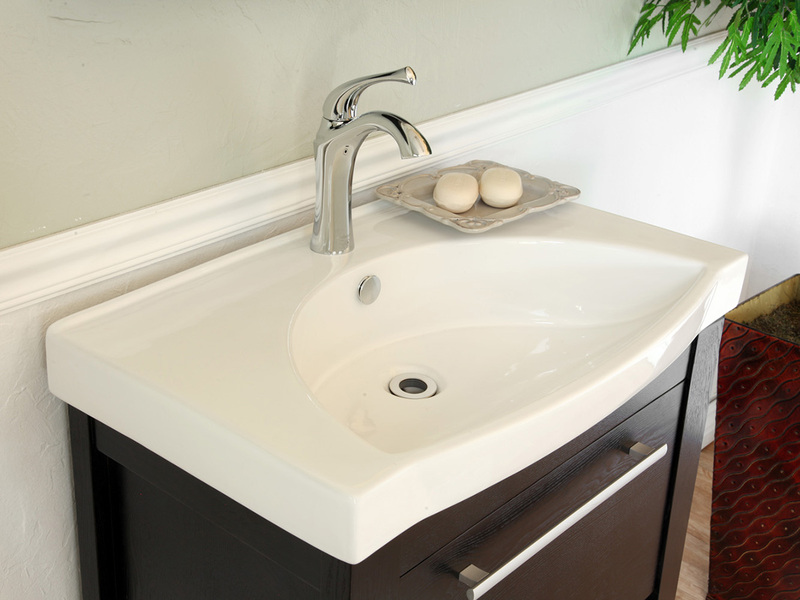 The vanity is topped with an integrated Vitreous China sink and counter, enhancing its clean, modern look and providing a refreshing contrast to the black finish. 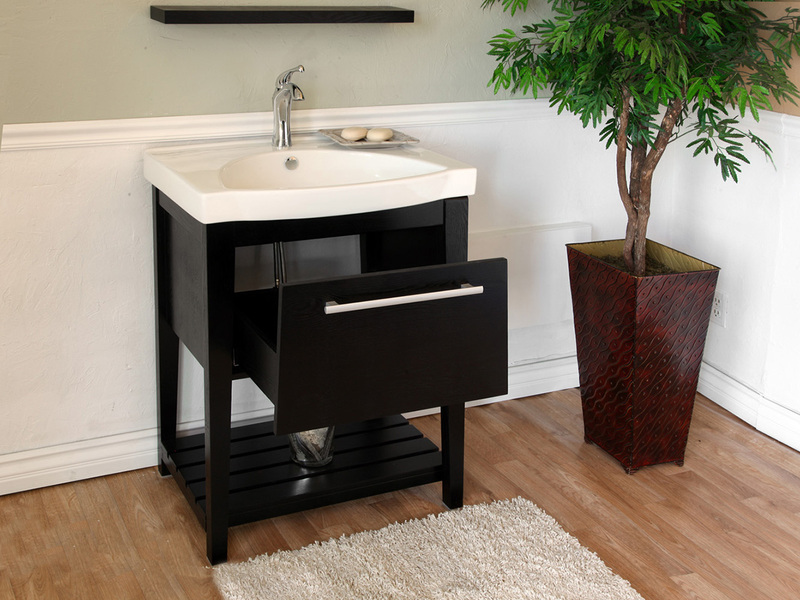 With a pullout drawer and bottom shelf, this vanity conveniently has room to store and display lots of bathroom items despite its compact size. 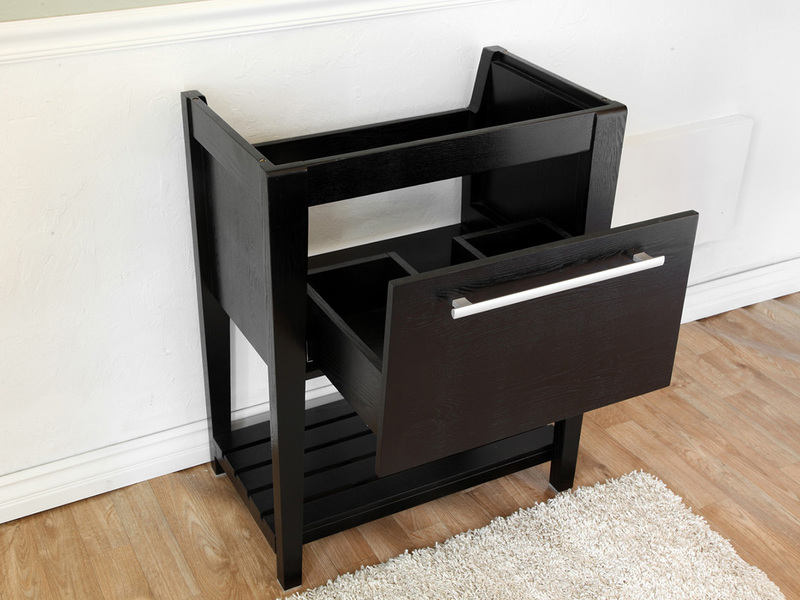 The bottom shelf in particular is great for storing guest towels in an easy to find yet out of the way fashion. 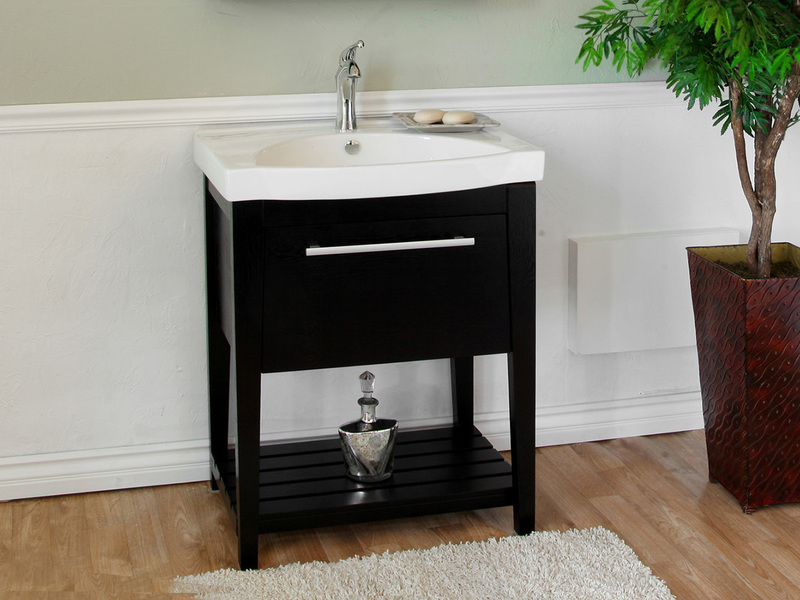 The vanity's wood is protected by its water proof finish, preserving its modern design against humidity. 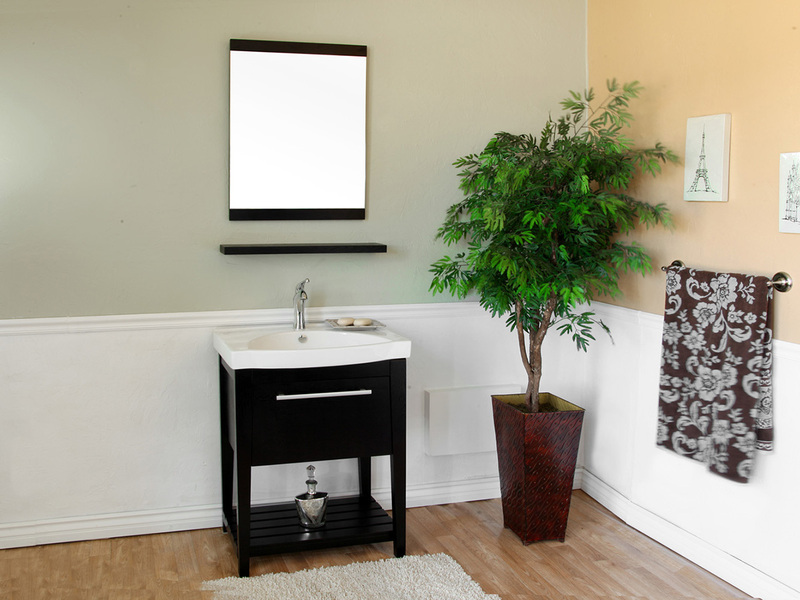 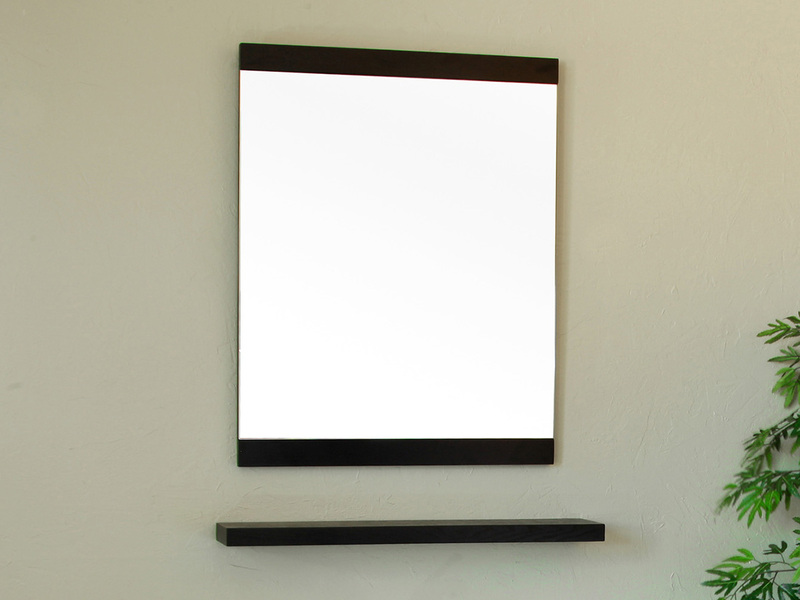 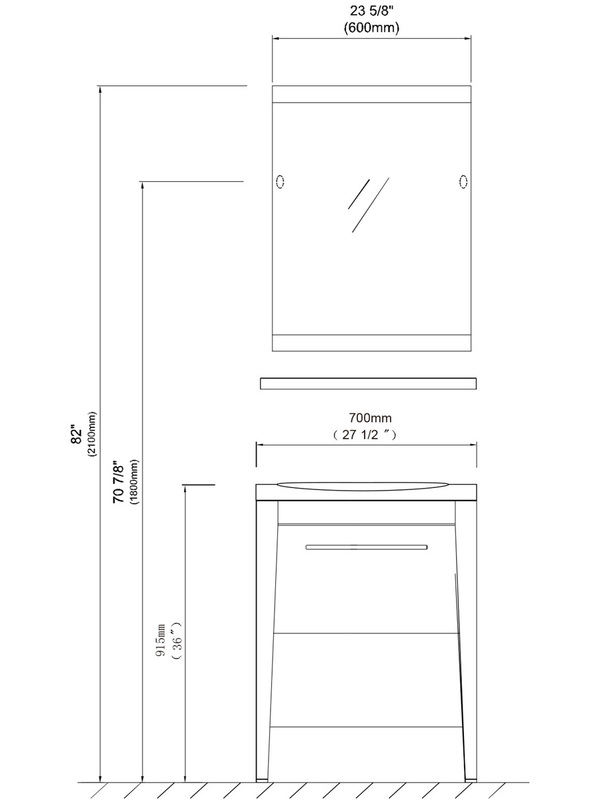 An optional mirror and shelf are available through the drop down menu to complete your bathroom's modern look.